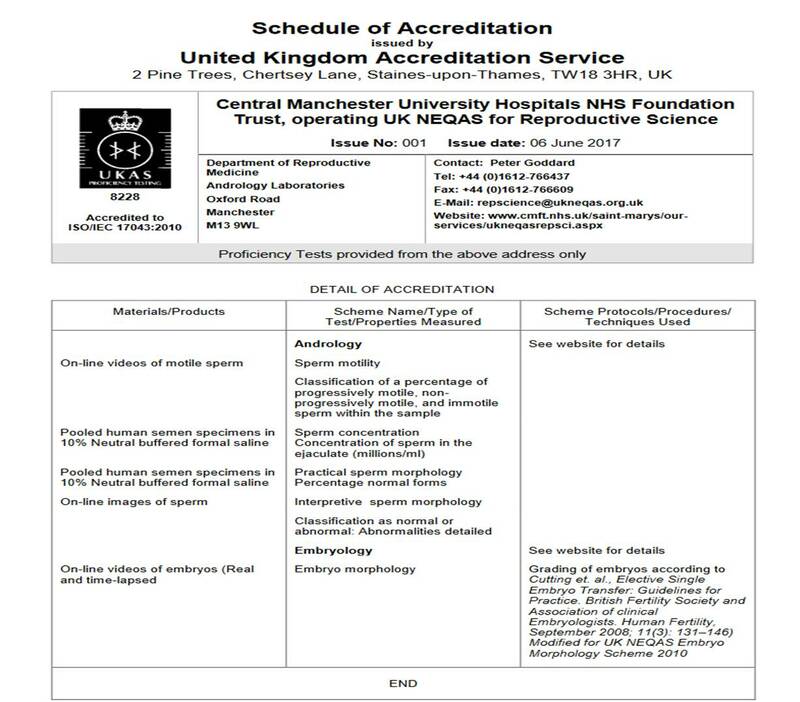 June 2017 | UK NEQAS Reproductive Science has been accredited as proficiency testing provider according to ISO/IEC 17043:2010 standards. This international standard specifies general requirements for the competence of providers of proficiency testing schemes and for the development and operation of proficiency testing schemes. This means UK NEQAS Reproductive Science has further adapted its service to a set of internationally-recognised requirements for the planning and implementation of proficiency testing programmes. Established in 1993, UK NEQAS Reproductive Science is based at Central Manchester University Hospitals NHS Foundation Trust, one of the largest Hospital complexes in Europe. This UK NEQAS service for reproductive laboratories will be provided in cooperation with GameteExpert. Here you can find more information. 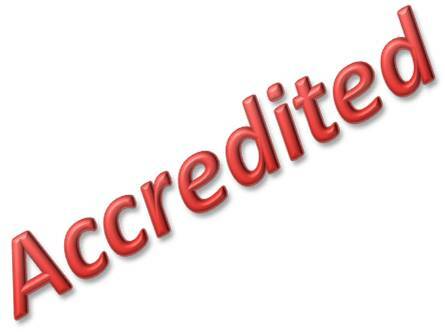 The accreditation has been granted by United Kingdom Accreditation Service (UKAS) which is member of the international organization ILAC.